About Us. Click on this link and use the drop down menu to learn more about us, or to get to the Adoption Process page to learn more about our 7-step Adoption Process, upcoming litters, or available pugs. Our Girls: Click this link to see our current girl pugs on their individual pages or use the drop down menu to click on the girls' individual pages. Our Boys. Click this link to see our champion boys who are offered for stud service for approved girls or use the drop down menu to click on upcoming boys' individual pages. Our Champions. 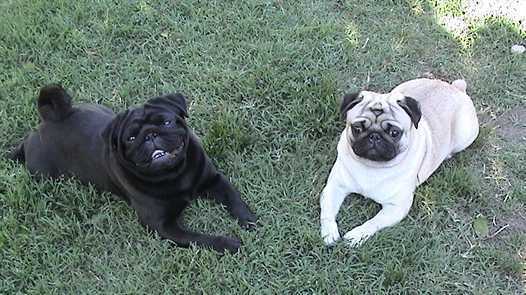 Click this link to see a list of all of the titled pugs we have bred, co-bred, owned, or co-owned. CH CandyLand's BLKHawk of Arvay (Kirby) and American, Finland, Austrian, Belgium, and International CH Celestial Storybook Hoku-Lele (Tiki) enjoying each other's company.